Seeking an original Uk laminated cover in decent condition of Thin Lizzy ST. Tea And Symphony LP on Harvest - anyone got a sleeve? Ditto DIP Presents Upsetter LP? Last edited by Harvey Mettle; 26-07-2016, 01:32 PM. The ultimate in cheerful optimism, but here goes ... I picked up an original Sunforest cover recently. Just no vinyl. I need a cover for Sam Gopal Escalator and Mandy More LP, if anyone has. Happy to trade for them or whatever. Ennio morricone - once upon a time in America. Don't suppose anyone has a copy of the Big Gun LP by Lucifer? I'm looking for just a photo copy of the "inner"
My copy of Moira Kerr: Folk Warm And Gentle is in need of a sleeve if anyone has a spare? If I may buck the retro trend for one moment, I have a comparatively recent sleeve going spare, namely:- PULP's 'Different Class', original '95 issue with the large aperture/window at the front and the 6 reversible artwork inserts (allowing a choice of 12 different sleeve designs). Looking to trade for what-have-you.. I would be grateful for a cover for my Jan Garbarek "Esoteric Circle" on the Freedom label. I'm looking for a sleeve for the 2xLP reissue of the Velvet Underground - Live At Max's Kansas City... thanks. 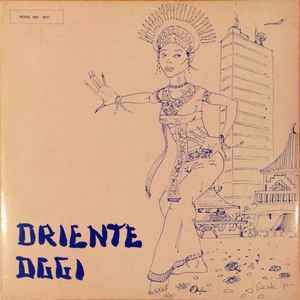 I would love the sleeve for Rino De Filippi's Oriente Oggi library record (see attached); my copy came in a generic sleeve.